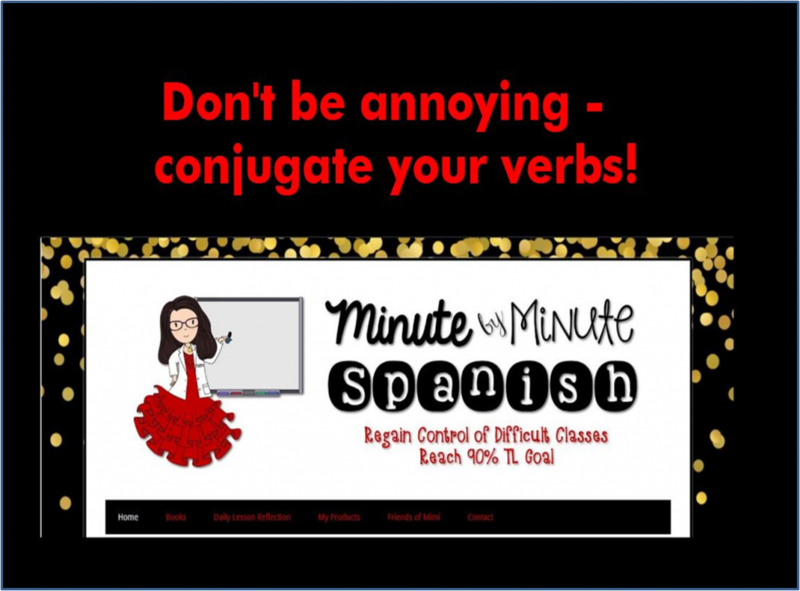 Stop Students Speaking in Spanish Infinitives – Motivate Your Students to Conjugate! March 19, 2016 By Personal thoughts and beliefs of E.B.Shrager - do not represent those of any past or current employer. Try it – you’ll be glad you did! About a quarter of my students just use infinitives . . . until this recording! They cranked up their efforts because they don’t want to sound “dumb” and “annoying.” Try it – you’ll be glad you did!